At CaptureLife, we are in the unique position of being able to analyze how tens of thousands of consumers interact with, purchase, and share professional photography delivered through our growing network of over 300 photography businesses and labs. This wealth of data provides some very interesting insights as to why some photographers drive better engagement and purchasing trends than others. One of the biggest advantages of CaptureLife is the ongoing connection created with consumers through the app experience. In fact, the CaptureLife app has a 70% retention rate so when we land on people's phones with your content, there is a tremendous opportunity to keep them engaged with those memories and buying more products. If we analyze photographers that are delivering the same type of content, say school or youth sports portraits, it is clear that some are making a stronger connection with the consumer and driving higher engagement with relatively similar content. One contributing factor is the packaging and messaging of the digital offering. When the value of the content and the digital experience are clearly conveyed on order forms and other promotional materials, ongoing engagement increases. When consumer connection and engagement is stronger, you have the opportunity for increased revenue, repeat purchases, and better brand recognition. Today's consumers are all about convenience. That's why delivering digital photos using digital downloads, thumb drives, CDs, or email is a dead-end transaction. By using these methods, photographers are creating tension and giving the consumer no incentive to come back in the future. Consumers will find more convenient places to make future purchases. With CaptureLife, customers receive a text message that takes them right into the app in a frictionless experience. Knowing that people engage with their smartphones an average of 5 hours a day, they have continuous access to purchased and unpurchased digital photos and quality print products. Promotions are delivered right to their phone where you can easily get them re-engaged with their content. As this article is being written, a customer order made through the CaptureLife app, including $279 worth of wall art, is being shipped to the customer's doorstep. That's the "Amazon Effect," which drives more revenue for your business by combining value with convenience. Of course, the quality of the photography and video being distributed to consumers makes a huge difference in the ongoing success of a photography business. We clearly see some photographers, based on the quality of their work, driving higher engagement and reorder rates than others that are performing the same kind of work. We see clear patterns emerge with photographers that use: more contemporary backgrounds; natural poses and props; creative editing; techniques to draw out the subject's personality are getting a bigger payoff. Their customers are buying packages as well as additional products at a higher rate and average order value. 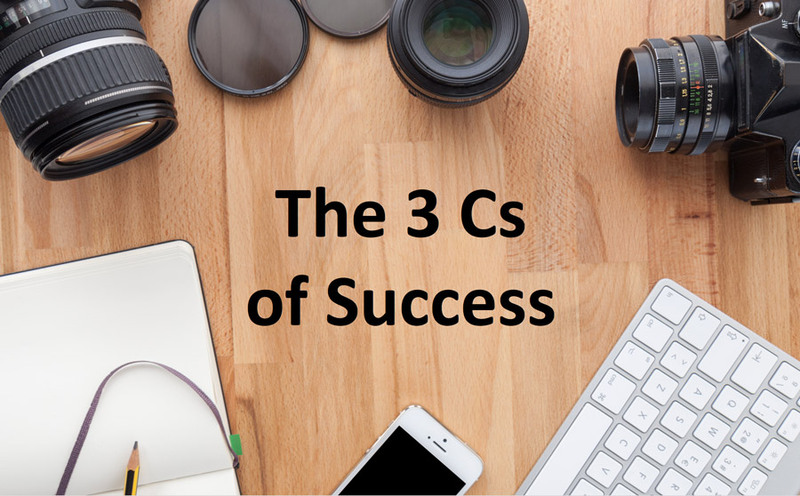 The "3 Cs of Success" are really about delivering a great customer experience. The companies that focus on that goal have an exciting year ahead. For those that don't, whether your customer is a school, league, or individual, you're giving them reason to take a second look.